The DI Teams have voted to hold a special election for the NCBA Rules Committee D1 Team Representative Position. This is a one year term which will require the elected D1 Teams Rep to travel to Pittsburgh for the Annual Rules Committee Meeting in the Summer. The D1 Rules Rep will gather rule suggestions from D1 Teams during the course of the year and present them on behalf of the D1 teams to the rest of the Rules Committee for vote. Anyone can run for the position, so if you are interested in running, please fill out the D1 Rules Rep Candidate Form. To be considered, this needs to be completed and sent to Christian.Smith@CollClubSports.com by Sunday, November 18th at 11:59pm EST. Download the NCBA Annual League Meeting Slides HERE. We are excited to invite you to the NCBA Annual League Meeting on August 22nd, at 7:00 pm EST! As in years past, this important meeting will be held LIVE online. This year it will be available for live viewing on the NCBA Facebook Group Page. CLICK HERE to download the invitation that has all the details regarding the meeting! 2017 DI WS MVP, TANNER DUNCAN MAKING NCBA PROUD! The 2017 NCBA DI World Series MVP, Tanner Duncan is making waves in the Houston Astros Organization. This is a must read article on Tanner and how he managed to do what everyone thought was unthinkable. The NCBA is in search of hitters of the LONGBALL! Last year’s DeMarini Longball Challenge was one for the ages setting all kinds of homerun records. If you can hit the ball really far and want to be apart of an amazing competition, please fill out the DeMarini Longball Challenge Application and send back to Christian Smith by May 1st for consideration! Hope International University has joined the NCBA for the 2017-2018 season! Welcome Royals! The NCBA Rules Committee D1 Team Representative Position is up for election. This is a two year term which will require the elected D1 Teams Rep to travel to Pittsburgh for the Annual Rules Committee Meeting in the Summer. The D1 Rules Rep will gather rule suggestions from D1 Teams during the course of the year and present them on behalf of the D1 teams to the rest of the Rules Committee for vote. Anyone can run for the position, so if you are interested in running, please fill out the D1 Rules Rep Candidate Form. To be considered, this needs to be completed and sent to Christian.Smith@CollClubSports.com by Sunday, November 5th at 11:59pm EST. The Official 2017-2018 NCBA Division II Rulebook has been updated and released. 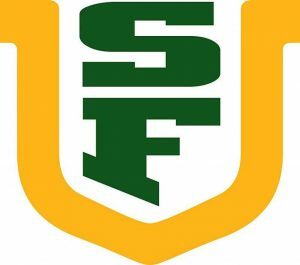 The University of San Francisco has joined the NCBA for the 2017-2018 season! Welcome Dons!